Congratulations to "Carissa", the winner in Lara's giveaway. Please contact JUST ROMANTIC SUSPENSE to claim your prize. Thanks so much for featuring me on the blog today! I’m excited to introduce Ranger’s Justice, the first book in my NEW Rangers of Big Bend series! As a native Texan, I know Big Bend National Park is one of the jewels of my state. But I was surprised to learn it’s one of the least visited parks in the continental United States. That’s a shame, because while the landscape is rugged, the scenery can’t be beat! From hiking to birdwatching to stargazing, the park has something for everyone. And since Big Bend is in a pretty remote area, it seemed like the perfect setting for a few stories of love and suspense! Can they stay one step ahead of a serial killer? FBI profiler Rebecca Wade is used to tough, gruesome cases. But a serial killer targeting women in Big Bend National Park gets under her skin in a way she never anticipated. Alongside her unexpected partner—enigmatic park ranger Quinn Gallagher—Rebecca must race against the clock to prevent more innocent lives from being lost and achieve justice at last. If you’d like more updates on my books and new releases, please like my Facebook page and follow me on BookBub! What’s your favorite national park, and why? That’s it! I hope you enjoy Ranger’s Justice, and I hope I’ll see you around the web sometime! Lara Lacombe is a recovering research scientist turned college professor who now spends her days writing and wrangling a toddler. She lives in Texas with her family and two entitled cats, and loves chocolate and her Crock Pot. She uses Facebook to procrastinate--stop by Lara Lacombe Books if you'd like to chat! Giveaway ends 11:59pm EST September 6th. Due to GDPR regulations you no longer need to submit your email address in the comments. If you have been selected as a winner your name will be posted at the top of the post. You may then contact maureen@justromanticsuspense.com to claim your prize. Your email address will be shared with the author/publicist providing the giveaway. I had the great pleasure of visiting the coolest National Park ever with my husband a few years ago for an anniversary trip. Hawai'i Volcanoes National Park! How often can you say you're walking on an active volcano? Super cool. Unfortunately some of the museum's and areas of the park have been damaged with the eruption this year, but they're currently making repairs and hoping to have the park opened back up later this month. I live in NJ and have not had a chance to visit a national one but I have visited state parks. oh gosh, I've been to so many, I thought one that was cool to do was in Zion National Park being able to hike in the water through The Narrows. That is a difficult question. We are still visiting as many parks as we can. We did visit Big Bend National Park two years ago. It is wonderful for the variety of landscape and wide night skies. We would like to go back and explore again some time. It was over 100 during the day which made hiking a bit difficult. We were staying in the cabins in the hills, so it was a bit cooler there. I would like to visit when the flowers are in bloom. For now, my favorite is Olympic National Park. It is "soft" (that is an impression) and inviting from the moist, moss covered forest to the rocky coast. 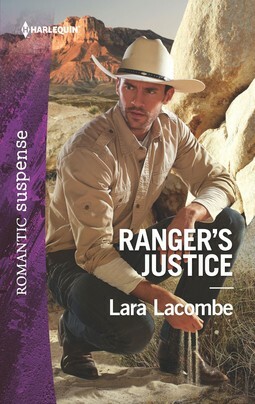 Loved Ranger's Justice and am glad it's going to be a series. Lanita.